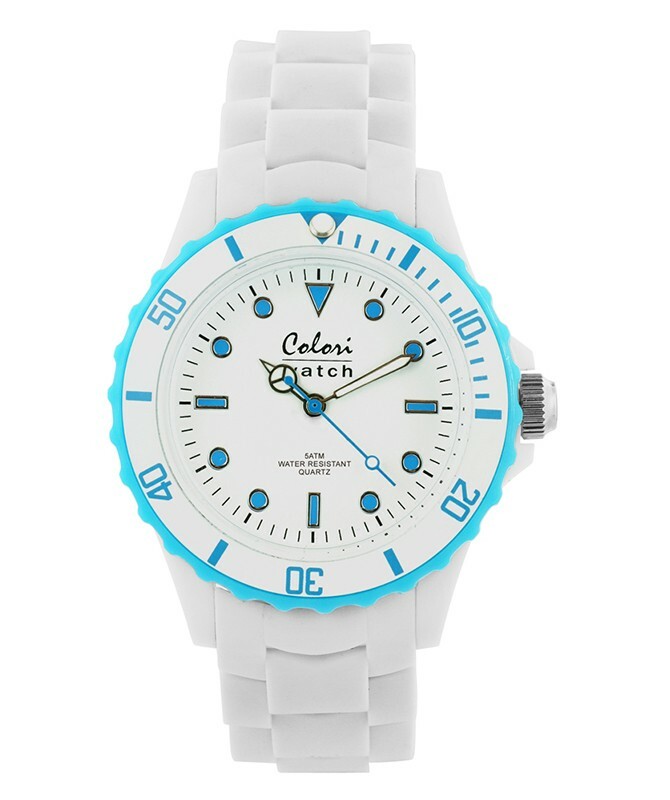 The Colori White Summer Fashion Watch has a really cool and trendy appearance. With a white Polyamide case measuring 40mm this timepiece is very well proportioned. 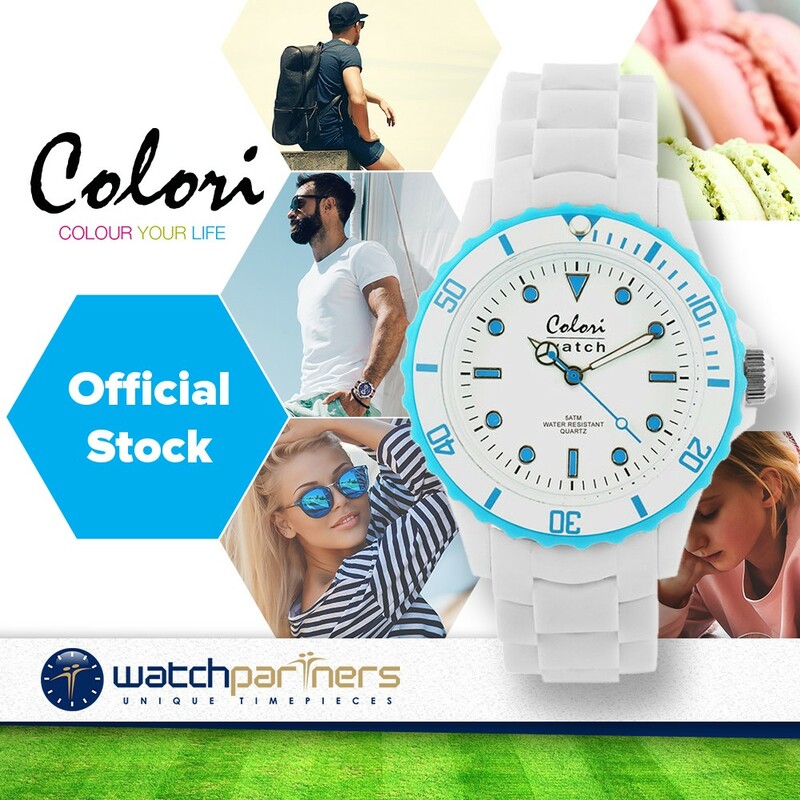 Other features include a stylish white dial (with contrasting blue markers) rotating two-tone blue/white bezel and white silicon strap. At the heart of the watch is a Miyota quartz movement.